While employed at the Naperville Park District, Firm Principal Devin Lavigne authored the Naperville Park District’s Open Space and Recreation Master Plan, which received an Illinois Tomorrow Award for Outstanding Balanced Growth in 2003 and was instrumental in earning the Naperville Park District the prestigious Distinguished Agency Award. 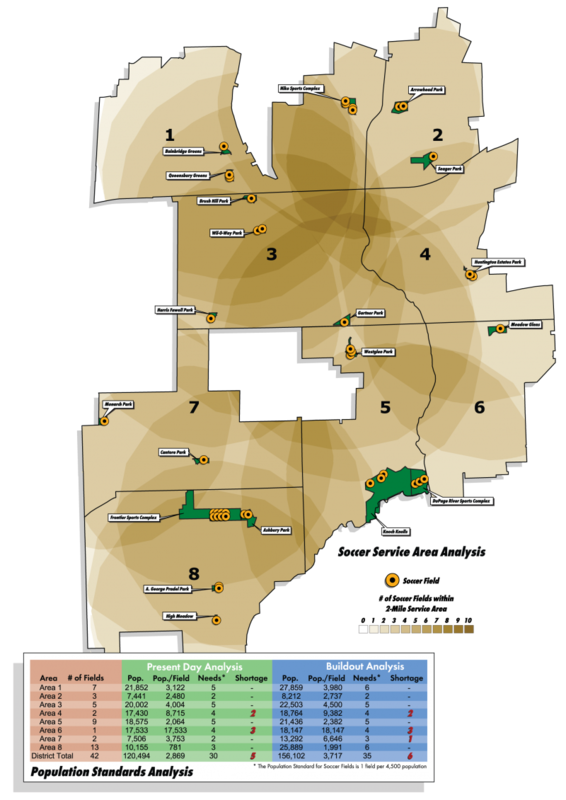 The extremely detailed document was the first Park and Recreation Plan in the State of Illinois to utilize GIS to analyze service levels and forecast recreational needs of a community. The Open Space and Recreation Master Plan also inventoried the existing recreation programs offered to residents and analyzed their location against the residents’ propensity to travel. The final recommendations of the Master Plan identified service gaps and underserved population for parks, recreation facilities, and recreational programs.